This cactus reminds you of the old west. 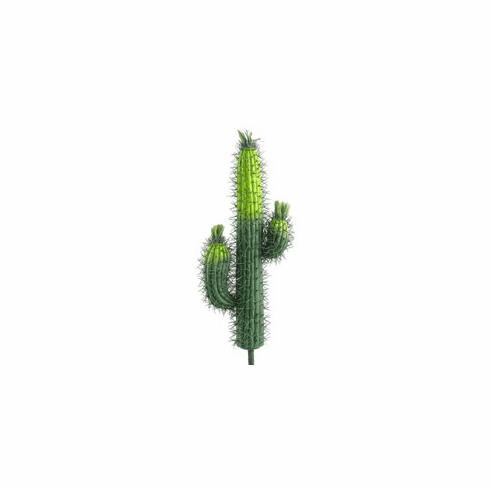 It is a smaller version of the classic saguaro cactus found in the desert southwest. It stands 23 inches tall and has a two toned green going from darker towards the bottom to a lighter green just like it is growing in the wild desert. It has hundres of black pliable needles and green leaves on the top of each arm. A mounting stem protrudes out the bottom for easy planting in a pot or floral foam.